It's Friday! We made it through the week...ahh! This has felt like a long week for me. Probably because I didn't have a three day weekend like most of my American friends with the Labor Day holiday. I actually worked Sunday and Monday, but that's over with and it's been a great opening week on the college campus where I work. Once upon a time, well not that long ago, I hosted "Friday Finds + Favorites." But as my life got increasingly more insane (in a good way) I realized I can't be the hosting person for this link-up! Which is why I am passing the torch ceremoniously (imagine music here) to my friend Beth. Get excited to link up your favorite finds and favorites from blogs, shops and of course, real life starting next week (September 14)! 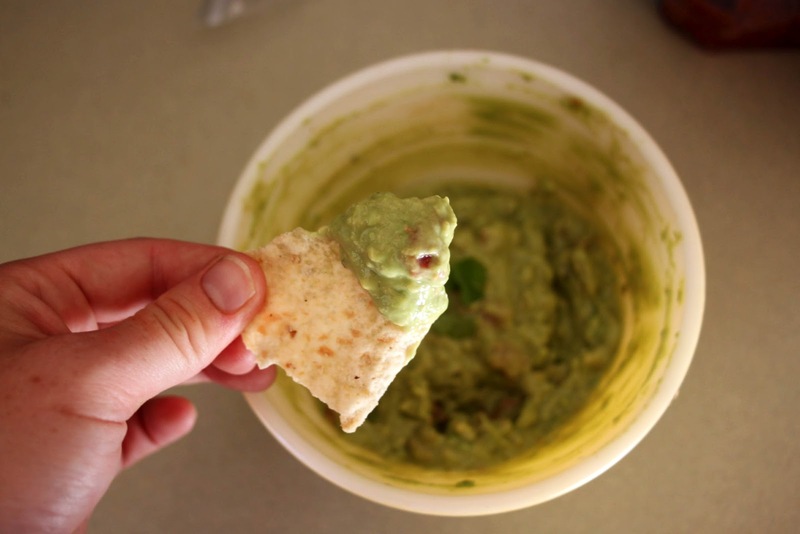 Now on to the favorite Erika is actually here to share with her recipe for guacamole! Drool. I am so excited to be here on Beth's blog, especially because I get to talk guac. When I say guac, I mean guacamole, of course. I'm already a big chips and salsa girl, but guac has a special place in my heart. And I can eat bowls and bowls of it-- especially when it's bowls and bowls of my mom's recipe. 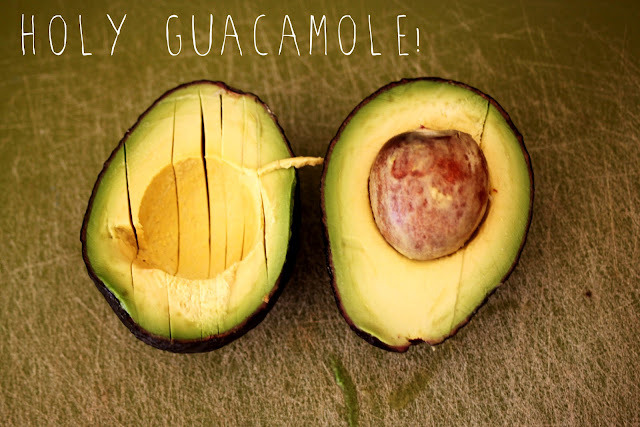 It's a vintage, tried-and-true guac recipe. 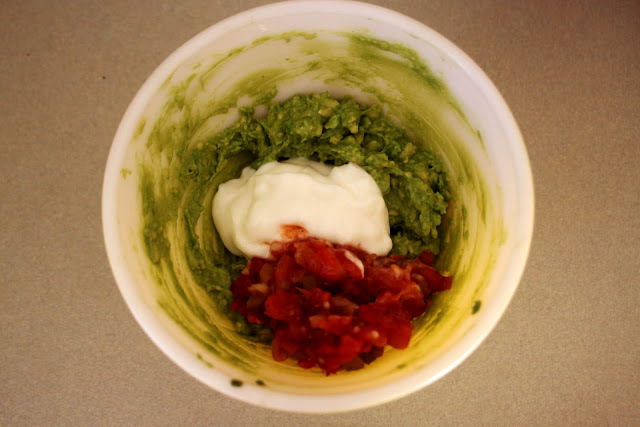 It's so good that I won a guac-off contest in college with this recipe. No lie-- this stuff is delish and pretty dang easy to make. add sour cream + salsa. squeeze half the lime in and add salt and pepper. mix all together and top with cilantro. If you want more cheesy jokes like that (though I'm guessing probably not) as well as DIYs, affordable fashion posts and a handful of recipes, you can find me over on my blog rouge + whimsy. I also sell handmade tote bags and clutches on etsy. If you prefer me in 140 characters, I like to chatter away on Twitter too. Yay! I just was over at Friday Finds and Favorites, and was wondering what happened. 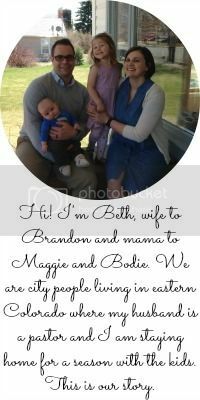 Can't wait to join up with you, Beth! yay! homemade guacamole is the best! this looks delicious! ahhhhhh I need some of that guac in my life!